Montel has been on the scene since early 2013. His first run of releases were a 'vinyl only' affair, but towards the end of 2014 Montel’s productions branched out to a greater audience and the digital market. 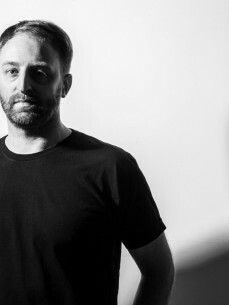 With this rise to prominence he picked up many new fans including top industry names such as John Digweed, Hot Since 82, Skream, Richy Ahmed, Sante & Sidney Charles et al! Releases soon followed on esteemed House & Techno imprints such as Bedrock, Knee Deep In Sound, Stereo Productions, Avotre, Lost, Leftroom and many more! As we step into 2016, the Irishman's profile continues to soar with frequent BBC Radio 1 plays, club & chart support from some of the biggest names in the House & Techno world, plus DJ appearances in the worlds best nightclubs!